Confession: I love cake batter. If you’re honest, you’ll admit you eat spoonfuls of it if you’re alone in the kitchen… No? Just me? Cool. 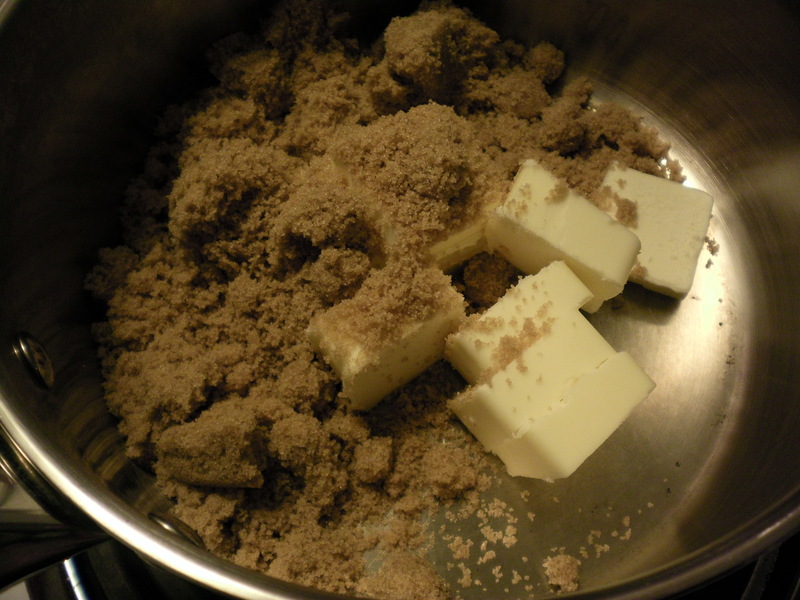 Anyway, next you need to cut up one whole stick of butter in to pieces and put it in a small pot with a tightly packed cup of brown sugar. 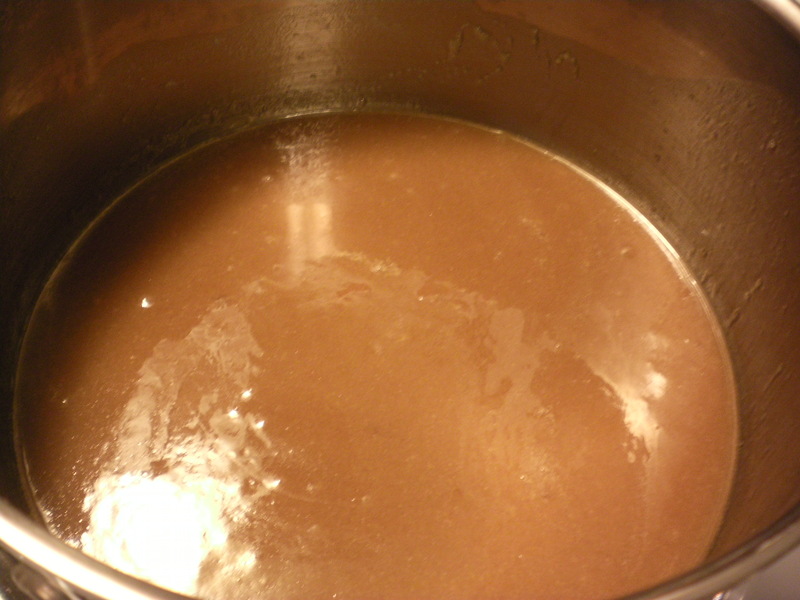 I used light brown sugar because that’s what I had in the pantry, but dark brown would be totally great too. Melt these together over medium low heat. Don’t try to sample the melted deliciousness. It’s way too hot. How do I know? Don’t worry about it. 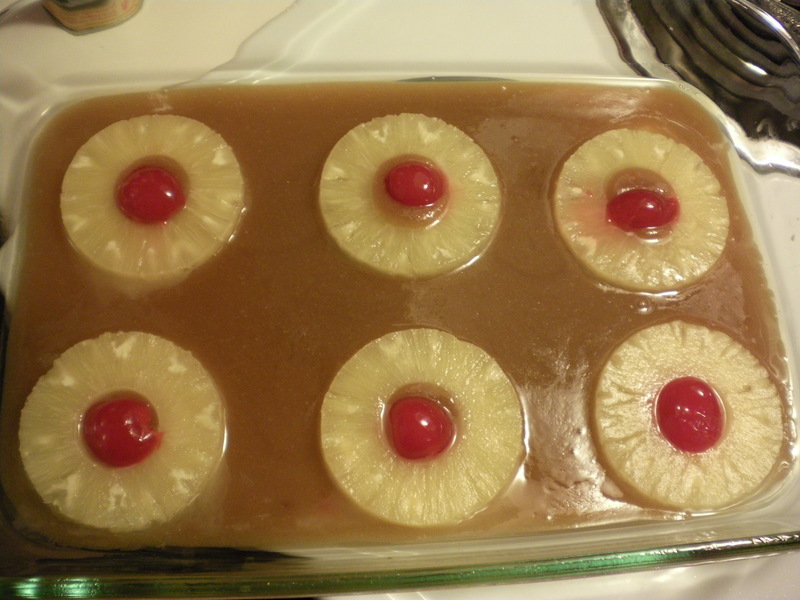 Ok, now you need to have your pineapple rings and cherries ready. 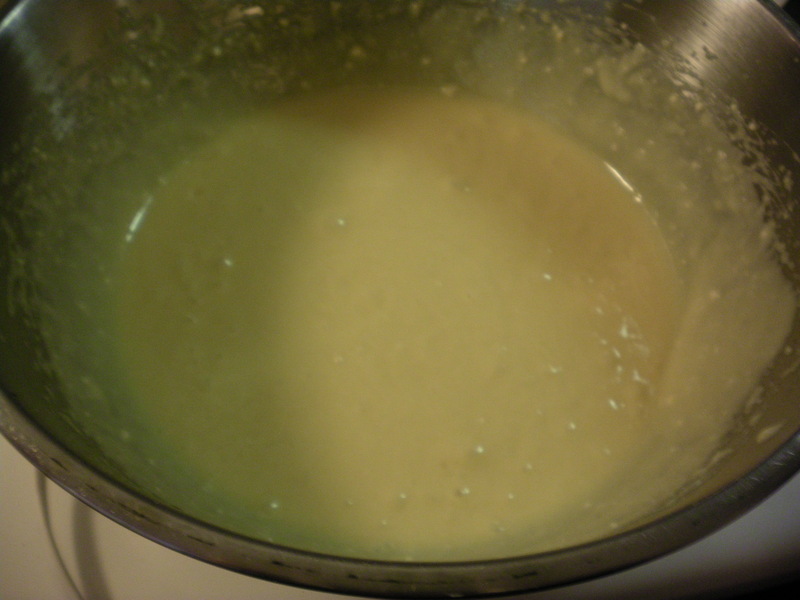 Pour the butter and sugar mixture into a 9×13 pan that you have sprayed with cooking spray until the can was completely emptied. 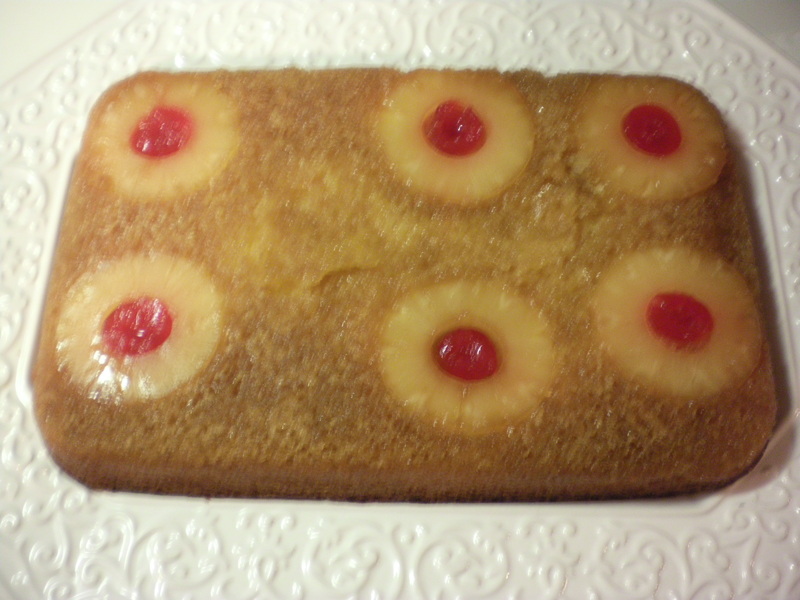 Next, line 6 pineapple slices on top and fill the hole in the center with a cherry. It’s so adorable and cheerful! Next, you just pour the cake batter over the top and bake it according to the directions on the box. When the cake is golden on top, pull it out and let it cool for just a few minutes. Maybe like 5 or so. Your kitchen will smell so delish and you will be anticipating that old fashioned goodness! Grab a large platter and invert the cake onto it. Right before you turn it over, offer a prayer to the pineapple upside down cake gods and then just do it! Yeah…. there was a shifting of pineapple incident…. 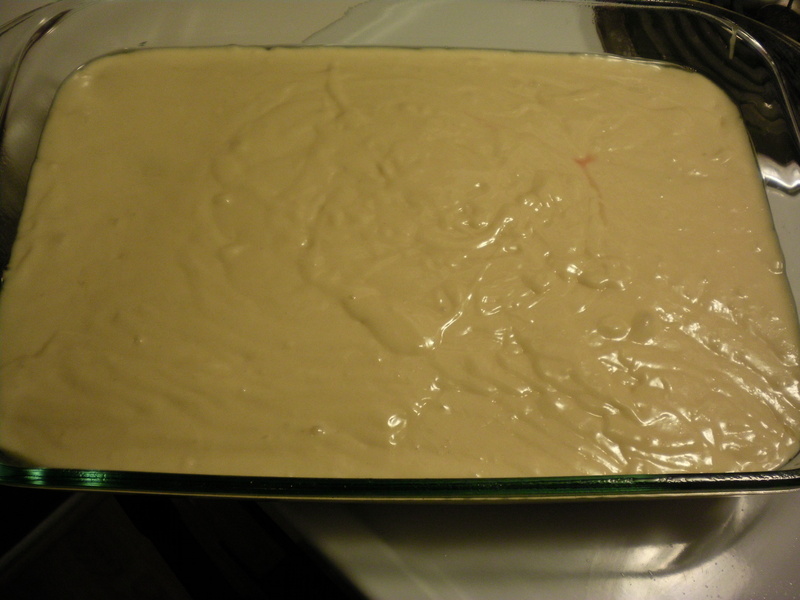 gah… its because I left my cake pan sitting on my uneven stove burner while I poured the batter over…. don’t be like me. Keep the pan on your counter. Oh well… it still tasted AWESOME! It’s very light and fluffy and sugary and pineappley and just…. yum. Thanks for stopping by and I hope to see you back real soon.